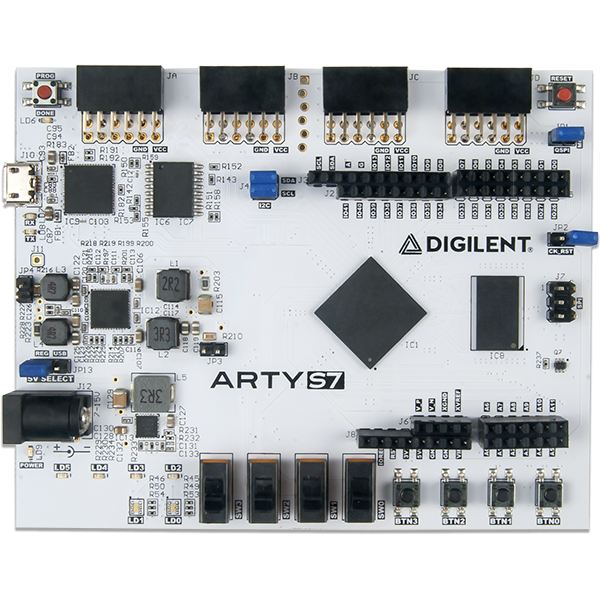 The Arty S7 board features the new Xilinx Spartan-7 FPGA and is the latest member of the Arty FPGA development board family from Digilent. 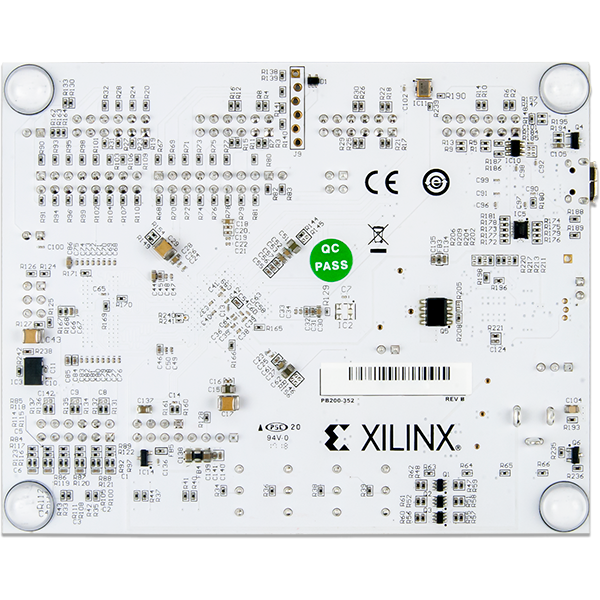 The Spartan-7 FPGA offers the most size, performance, and cost-conscious design engineered with the latest technologies from Xilinx and is fully compatible with Vivado Design Suite versions 2017.3 and newer. 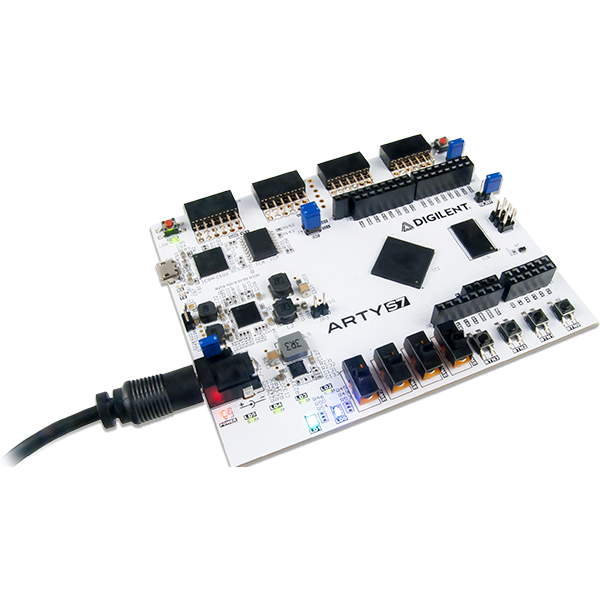 Putting this FPGA in the Arty form factor provides users with a wide variety of I/O and expansion options. 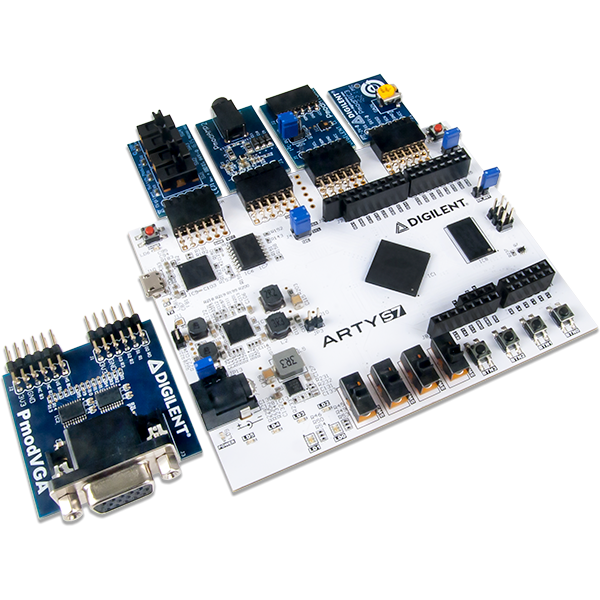 Use the dual row Arduino® connectors to mount one of the hundreds of hardware compatible shields available, or use the Pmod ports with Digilent's pre-made Pmod IP blocks for a more streamlined design experience. 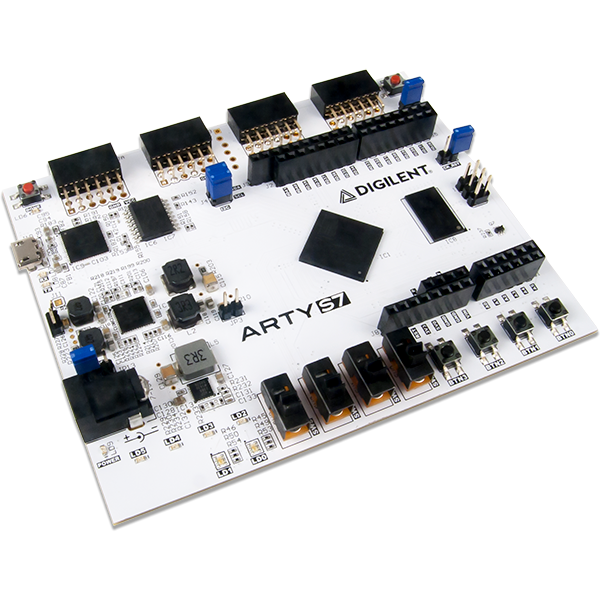 Arty S7 was designed to be MicroBlaze ready and comes out of the box ready to use with the free Xilinx WebPack licensing with the Vivado Design Suite.